Shop: Free shipping on orders of $100 or more. Nutraceuticals: Free shipping on orders of $100 or more. At the forefront of Dr. Lam’s success is his commitment to each and every patient. This Patient-FIRST philosophy means you have a partner in your journey – one who will guide you through every step of your transformation and ensure that your needs, concerns or questions are answered. Each individual has his or her own vision of beauty and our objective is to help you achieve yours. During your complimentary consultation, Dr. Lam will carefully listen to your needs and goals and work with you to strategize the best treatment plan to complete the picture that you envision. There are a myriad of plastic surgery options available today, but there is no “one-size fits-all” solution. Other important factors must be weighed, including personal needs, lifestyle, and recovery times to name a few. Each patient will receive a confidential evaluation in a professional and patient friendly setting. Based on your desired outcome, Dr. Lam will provide you with detailed information on the various options available to you. He will provide descriptions of surgical and non-surgical procedures, review before and after photographs of patients, and discuss other relevant information in order to assist you in making the most informed decision. Patient education is vital to any plastic surgery procedure. Following a careful review of surgical options, Dr. Lam will work with you to identify the best approach to achieve your vision. Once that decision has been made, Dr. Lam will provide a thorough explanation of the specifics of the procedure and help address any remaining questions that you may have. Ensuring your peace of mind is of utmost importance. As surgery day approaches, it is essential that our patients have a complete understanding of what to expect. Dr. Lam will give you an honest assessment on what results plastic surgery can achieve for you as well as a true understanding of what to anticipate during your recovery. He will partner with you before, during and following your transformation to ensure the highest standard of pre-operative and post-operative care. Surgery and post operative care with Dr. Lam is completed! 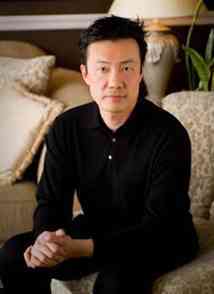 You have physically and emotionally adapted to the “new you” planned and executed by you and Dr. Lam. We see big smiles, lifted spirits, new clothes, and a bright outlook on the faces of our patients. Signup to get updates on special offers and special events. Schedule A Free Complimentary Consultation. The First Step to a New You! Azani Medical Spa © 2005-2019. All Rights Reserved. Acne or Oily Skin: Free shipping on orders of $100 or more. Anti-Aging: Free shipping on orders of $100 or more. Body Treatments: Free shipping on orders of $100 or more. Cleansers: Free shipping on orders of $100 or more. Even Skin Tone: Free shipping on orders of $100 or more. Exfoliate: Free shipping on orders of $100 or more. Eye and Lip Treatment: Free shipping on orders of $100 or more. Gift Certificates: Free shipping on orders of $100 or more. Men's Skin Care: Free shipping on orders of $100 or more. Moisturize: Free shipping on orders of $100 or more. Specialty Masks: Free shipping on orders of $100 or more. Sun Care Protection: Free shipping on orders of $100 or more. Toner: Free shipping on orders of $100 or more. Uncategorized: Free shipping on orders of $100 or more.